WRITTEN TYCOON (AUS) (Chestnut 2002-Stud 2007). 2 wins at 2, STC Todman Slipper Trial S., Gr.2. Leading Aust. First Season Sire 2010-11. Sire of 365 rnrs, 254 wnrs, 18 SW, inc. Capitalist (ATC Golden Slipper S., Gr.1), Music Magnate, Luna Rossa, Howmuchdoyouloveme, Rich Enuff, Winning Rupert, Tycoon Tara, Written Dash, Trump, Vibrant Rouge, It is Written, Grand Tycoon, Hot Dipped, Stoker, Super Cash, Shakespearean Lass, Written Up, etc. Rich Affair (g. by Written Tycoon). Winner. See below. Satin Silver (Commands). 2 wins at 1600m, 2000m, 2d Kenilworth Sun Classique H., L, Durbanville UK Soccer 6 H., 4th Clairwood Queen Palm H., L.
Connoisseur. 5 wins to 1250m, A$164,810, AJC Mick Bladen Memorial H., Crown Plaza P.H., McGrath Estate Agents P., STC Safilo Eyewear H., 2d AJC All Trades Group Training Prince Foote H., Springfest Welter H., Provident Capital H., 3d Hawkesbury RC BTW Communications Motorola Flying H., Scone RC Catbird Quality H., AJC Insurance Brokers Welter H., Hawkesbury RC Albert OI'Cass Memorial Master Farriers Flying H.
Third Option. 5 wins to 1400m, 3d AJC Sydney City Lexus H.
Lord London. 3 wins to 1450m, R194,780, 2d Clairwood KZN Chapter Winter Challenge H., Greyville STS Engineering H., 3d Greyville Profile Creations H., Scottsville Kay Makan The Witness H.
Stings Leica Bee. 3 wins at 1200m in Malaysia. Grand Street. 3 wins to 1400m in Aust. and Malaysia, 2d Singapore TC Kranji C S.
Bobby James. 4 wins at 1000m, R285,100, Kenilworth Book a Table at Our Next Raceday H., 2d Fairview Securewais UK S., Racing. It's a Rush S., Kenilworth Cape Town Prawn Festival 21 February H., 3d Kenilworth Soccer 13 H., Lanzerac Alma Mater H., 4th Kenilworth Southeaster Sprint S., L.
Maigold. 3 wins at 1200m, R160,550, Scottsville Soccer 6 H., Regal Inn Xpress H.
Annigoni. 4 wins at 1400m, 1600m, R248,500, to 2015-16 in South Africa. Court Ranger. Winner at 1100m in 2015-16 in Aust. Diamond Pursuit. 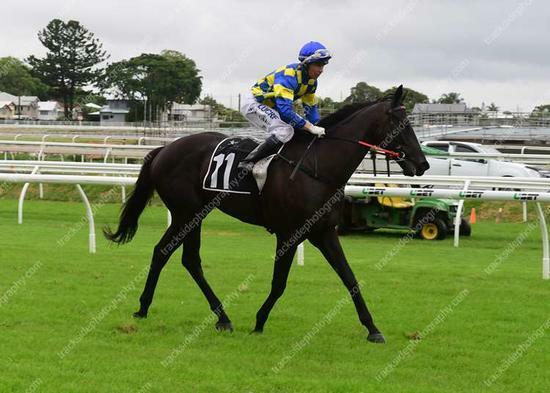 11 wins-2 at 2-to 1400m, A$128,150, 2d Townsville TC Parry Nissan Great Northern 2YO P.
Innocent Princess. 2 wins at 1100m, 1200m, 3d TTC Catering for Seminars H.
Annandale Lass. 8 wins to 1350m, A$105,720, to 2015-16, ATC Turfcare NSW H., 2d SAJC Moet & Chandon H., 3d SAJC Adelaide Galvanising H., Adelaide Casino H.
Acquainted (Shamardal). Winner at 1½m, 2d Chester Cheshire Oaks, L. Producer. Penny Rose. 2 wins at 2, Newbury Dubai Duty Free Full of Surprises 2YO Fillies' S., 3d Ascot Ritz Club Fillies' H.
Yours Ever. Winner at 16¼f, Haydock Free Racing UK Iphone App H.
BARON FERDINAND (Ferdinand). 5 wins at 1¼m, £118,033, Ayr Scottish Classic, Gr.3, Goodwood Festival S., L, Newmarket Chippenham Park S., York John Smith's Magnet Cup H., 2d La Coupe de Saint-Cloud, Gr.3, Baden-Baden Furstenberg Rennen, Gr.3, 3d Windsor Winter Hill S., L, 4th Haydock Rose of Lancaster S., Gr.3, Newbury Arlington International S., L.
Financial Future. 2 wins at 2400m in GB and Switzerland, Swiss Derby, Haydock Old Boston S., 3d Epsom 2YO S., Newmarket Glow-Worm Rewards Club 2YO S.
ROYAL DESCENT (Bishop Northcraft). 2 wins at 1m, 8½f, Pimlico Pearl Necklace S., L.
Panzer. 4 wins from 1½m to 26¾f, Newmarket Blue Square H.
Race Record: 1 Starts 1-0-0 A$17,600.